Dale was a 1949 Otto High School graduate and went on to work for Dresser Industries for 39 years. He was a member of the First Baptist Church of Bradford, where he served as a Sunday School teacher, deacon, and trustee. He also served as a Bradford Ecumenical Home Board Member. 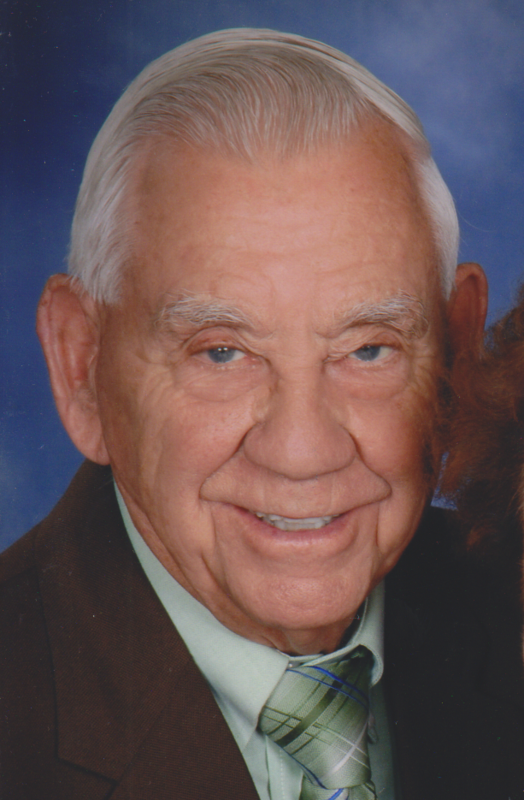 Dale enjoyed gardening, fishing, and spending time with family, especially with his grandchildren. He also enjoyed spending winters with many friends at the Good Samaritan Village in Kissimmee, Florida. Helping others was a passion through which he demonstrated his deep love of people. Our hearts are heavy as we mourn his loss as a loving husband, father, and grandfather, but we can only imagine his indescribable joy as he entered heaven. He is survived by Marilyn, his beloved wife of 67 years, and children David and Cindy Causer of Nashville, Larry Causer of Bradford, and Jan and Jim Russell, also of Bradford. He was blessed with grandchildren: Danielle and Will Brabston, David Causer, Jr., Matthew Russell, Bethany Russell, and Kaitlyn and Kris Peterson; and five sweet great-grandchildren: Rainn Causer, and Liam, Sammy, Ellie, and Charlotte Brabston; a sister, Lucille Witherow of Youngsville, PA, a sister-in-law, Pat Causer of Bradford, and several nieces and nephews. He was preceded in death by his parents, his brother Norman “Bud” Causer, a sister Jean “Teeny” Coast, and Baby Dale, a precious Chinese orphan who was his namesake. The family will receive friends from 2 to 4 and 6 to 8 pm on Friday, April 19, 2019 at the Hollenbeck Cahill Funeral Home, South Avenue, Bradford and from 10 to 11 am on Saturday, April 20, 2019 at First Baptist Church of Bradford, 71 Congress. A Celebration of Life Service led by Pastor Jeremy Childs will follow. In lieu of flowers, memorials may be made to the First Baptist Church of Bradford’s Feed My Lambs Formula Fund, which assists with nutritional and medical care to orphans in China, or a charity of choice. Funeral arrangements are under the direction of the Hollenbeck Cahill Funeral Home, Bradford. I worked with Dale at Dresser for many years. Always a gentleman and full of fun! He was one of the great Dresser guys. My thoughts and prayers go out to his family. Marilyn I am so sorry for you loss.